Studio One 3 Professional, General Sequencer from PreSonus in the Studio One 3 series. Product replaced by the PreSonus Studio One 4 Professional. Version 3.2 adds over 50 professional tools and workflow enhancements, including the new Mix Engine FX which are said to have been designed to fundamentally alter the mix experience in a DAW. According to Presonus, most of the improvements in Studio One 3.2 were directly inspired by suggestions made by the music production community — including professionals using other DAWs who had integrated Studio One into their workflow and requested some enhancements before switching outright. The most important new feature in version 3.2 is Mix Engine FX, a new plug-in concept exclusive to Studio One Professional that can modify or bypass and replace Studio One’s native mix engine. In contrast to conventional plug-ins that must be inserted independently on each channel, with limited or no interoperability, Mix Engine FX can process every channel routed through a bus, both individually at the source and at their summing point. Hence, any bus (including the main stereo bus) can have its own Mix Engine FX assigned. Console Shaper, the first Mix Engine FX plug-in, uses State Space Modeling to try to re-create analog mixer system topology and componentry, featuring control over drive, noise, and true crosstalk across multiple channels. But console emulation seems only to be the beginning, as PreSonus, Slate Digital, Softube, Acustica Audio and other third-party developers are reportedly planning to release more Mix Engine FX in the coming months. Also new in Studio One 3.2 Professional are VCA Faders, allowing remote control of any number of tracks from a single fader - complete with relative level control and volume automation. Studio One’s workflow is also said to have been made faster, with the Arrow Tool now being able to transform into the Range tool when hovering in the upper half of events, and the Arrow and Range Tools now providing alternative comping methods for fast layer editing and navigation. Range editing was also improved with a new Quick Range mode aimed at making precise micro-editing of volume automation fast and easy. Version 3.2 also brings new zooming shortcuts, extended Tab-to-Transients navigation, several alternative transport modes, a new Play Start Marker, a Loop Follows Selection option while editing, drag-and-drop audio rendering of virtual instrument parts, and more. Studio One 3.2 also updates its integrated Melodyne Essential to the new version 4, which features a new “Universal” algorithm for transposing and quantizing polyphonic and harmonic recordings, among many other new features. This new version also extends the DAW's integration with PreSonus’ audio interfaces, introducing remote XMAX preamp control for up to 64 input channels on StudioLive RM rack mixers and hybrid Fat Channel DSP processing for low-latency recording with effects on StudioLive RM mixers and StudioLive AI consoles. 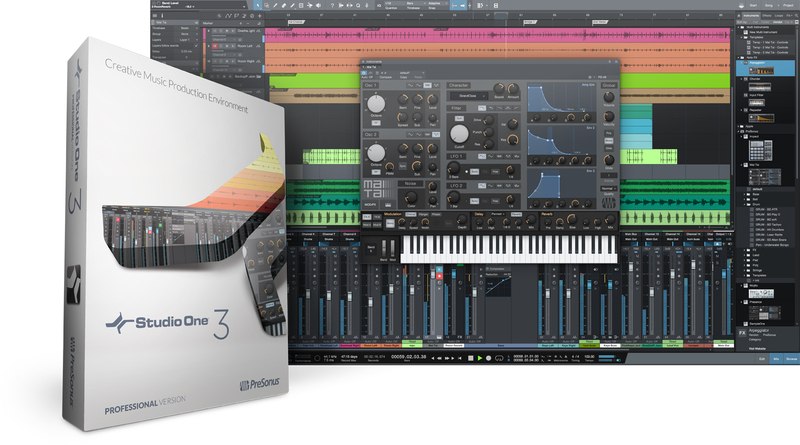 Studio One 3.2 is a free update for registered users of Studio One 3.0 and higher. Downloads are available now from the customer’s My PreSonus.com account. 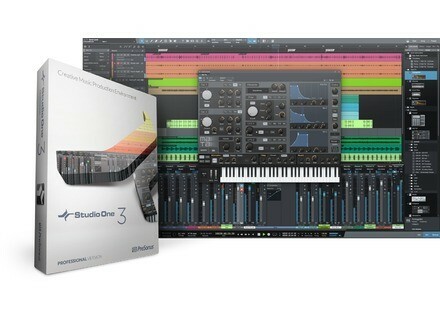 More information on Studio One 3.2available at Presonus.com. Voxengo updates SPAN to v2.10 Version 2.10 of Voxengo's SPAN is now available for download. Wavesfactory updates its Marxophone Originally released back in 2012, Wavesfactory's Marxophone for Kontakt has just been added a bunch of new features. PSP release v1.1 of their 2445 reverb The PSP 2445 reverb was updated to version 1.1.0 - an update that comes with both a new feature and a new introductory price.